Deirdre Healy became the first Ratoath A/C athlete to compete in the European Cross Country championships over the weekend (Sunday 13 December). The course in Hyeres, France was flat and fast but with some man-made jumps and sharp inclines included. Deirdre finished a very credible 67th in a top class field. She loved the whole experience of mixing it with Europe's elite and is more determined than ever to make the Irish team next year as she has one more year of eligibility in the junior ranks. 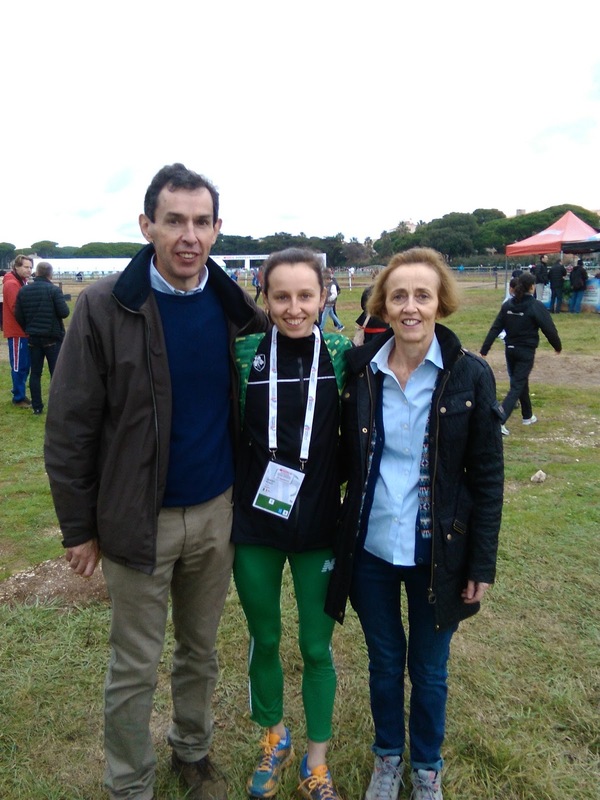 Deirdre's proud parents Flor and Geraldine also traveled out to support her and all the other Irish team members take on Europe's best in what was a fantastic weekend of athletics.